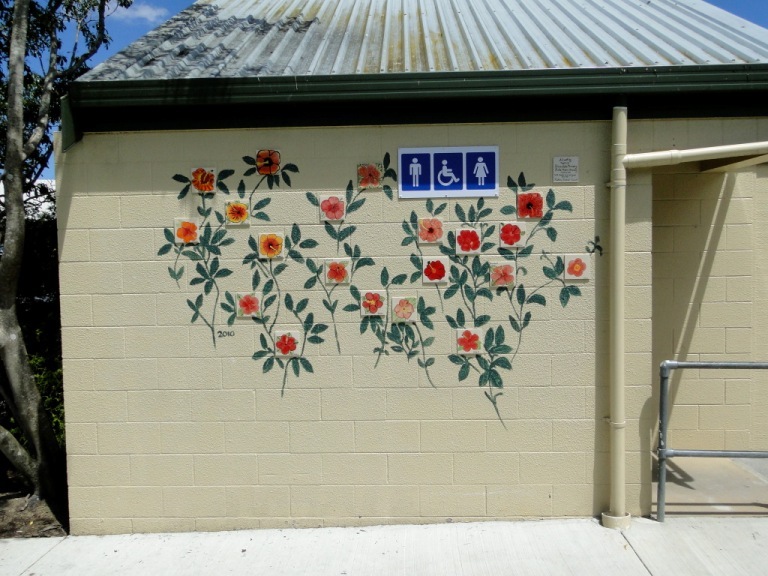 My friends Bill and Barbara Ellis sent through these photos of a lovely mural (2010) on the side of a toilet block in Silverdale. School children painted flowers on tiles, which have been fixed to the wall, with leaves and stems painted on the wall itself. A beautiful idea. Very beautiful mural. What a great idea. 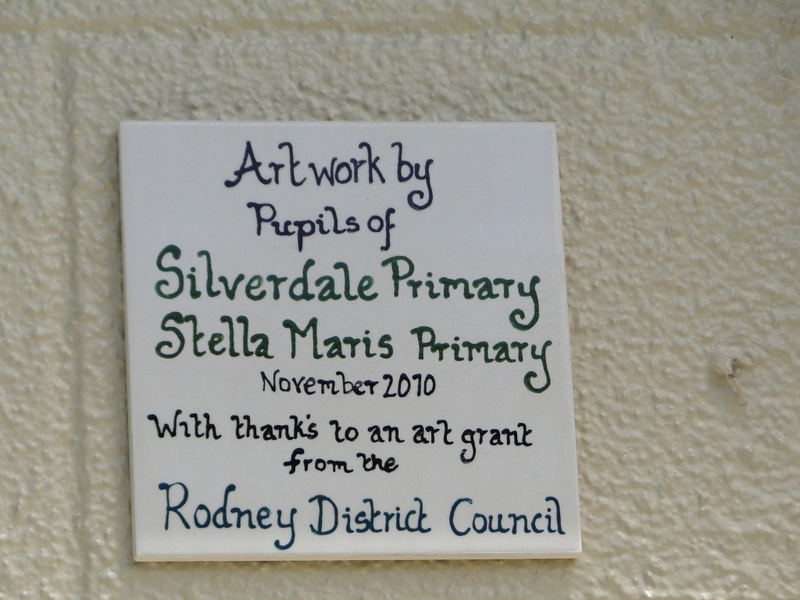 Fabulous :-) and a great incentive for children to see how they can beautify rather than destroy their surroundings.